I have to get to this Philosophy paper, but I just wanted to share a thought with you that I had after the message Sunday. 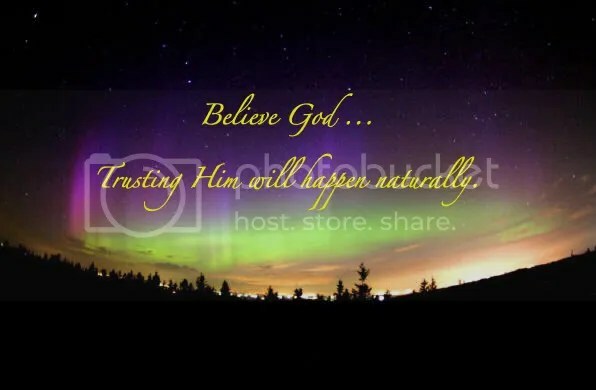 Trusting God seems so much harder to do then Believe…I mean think about it. while ” believe” I picture a feather that flows in the wind…am I the only one that feels this way? This entry was tagged Amazing things only God can do, Believe, Believing God, God, Miracles, Trust. Bookmark the permalink.